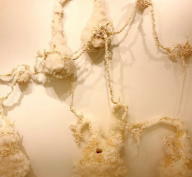 Welcome to Japanese contemporary artist, Unicoco's website! I was in charge of the stage art (collaboration). Hamada Children Museum of artin this summer! July 14 - September 24, 2018.
in March 15 to 20 at Art Imagine GALLERY in Tokyo. without eye-sight in complete darkness. Copyright (c) 2008-2019 Unicoco. All Rights Reserved.